Potholes in Syracuse NY are going to be worse than ever this year according to 9wsyr in their interview of the Syracuse DPW Commissioner Pete O’Conner. Rim Doctor can help with our wheel straightening services. Potholes in Syracuse NY are going to be worse than ever this year according to 9wsyr in their interview of the Syracuse DPW Commissioner Pete O’Conner. Rim Doctor can help with our wheel straightening services. If you hit a Syracuse pothole and need it repaired, you are in the right place. We've all had that teeth-rattling experience when our wheel found its way into what felt like a sinkhole. Sometimes a wheel can be unaffected, but often it can be slightly or significantly bent. A wheel that is out of round can effect the safety of your vehicle, ruin the smoothness of your ride, lead to uneven tire wear, cause alignment issues and even decrease fuel economy. The good news is that in many cases, Rim Doctor can straighten things out and have you rolling within factory specifications (often better) in no time. Rim Doctor exclusively uses the most premium, American made wheel straighteners available. Using precision hydraulic systems and meticulous measurement indicators, if your bent wheel is repairable, we have the right combination of experience and equipment to ensure the best possible results, every time. Once the Rim Doctor precision wheel straightening process is complete, your wheel is ready to have its tire mounted, balanced and installed on your vehicle to get you moving smoothly again. 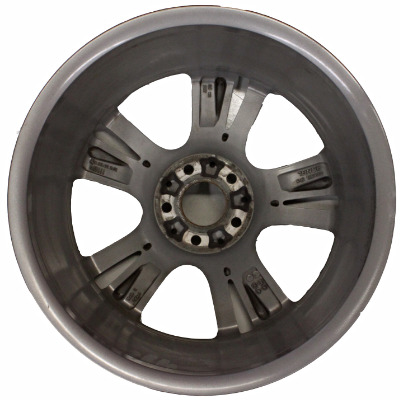 Due to the extreme variety of wheel materials and types, results do vary from wheel to wheel. However, you can rest assured that you will receive the very best results possible for your bent wheel. Pricing is based on many factors such as: size of wheel, location, number and severity of bends and wheel finish. (PLEASE NOTE: We are unable to repair a wheel that is cracked or broken in any way.) For more specifics on the nature of wheel straightening, scroll to the bottom of this page. Please fill out the form below as completely as possible for the most accurate assessment of your wheel damage. If your bend is visible, please include a photo. You may also stop by our shop anytime Monday-Friday 8am - 5pm for an estimate. Additional considerations regarding wheel straightening: Given the impossibility to know the exact specifics of the particular alloy of each specific wheel as well as the exact damage sustained, It is possible that ANY wheel may crack during the straightening process. In many cases a wheel may have a hairline fracture which is invisible to the naked eye that is exposed during a straightening attempt. We make every effort to ensure that your wheel does not crack during the straightening process.